Situated in a vibrant region and spread over 3 campuses, you will not be bored at UTBM. In this section, you will find the broad range of activities organized by the AE (students association) and the Welcome club, but also useful day-to-day information about our three campuses: Belfort, Sévenans and Montbéliard. 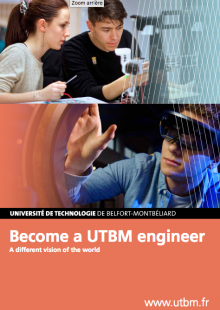 In Belfort, you will find the Computer Science, the Energy as well as the Engineering and Management of Industrial Systems departments. In Sévenans, you will find the Common Core and the Mechanical Engineering and Design departments as well as the Humanities department. In Montbéliard, you will find the Ergonomics, and Industrial Design department. As a UTBM student, you will have access to the library premises. It offers a range of newspapers, magazines, books and reference works (dictionaries, encyclopedias, etc.) in the fields of science, technology, human and social sciences and languages. There are 3 different libraries spread over the 3 sites. For more information regarding opening hours, online resources… you can visit the library’s website. Being a UTBM student means getting involved, exchanging ideas and sharing in associative activities. With facilities designed to promote exchange, creativity and enthusiasm, the AE offers more than 50 different activities, ranging from artistic to cultural, humanitarian, technical and sporting. So come and discover the big events on the AE facebook page. The Sports Club is an association which makes available 25 sporting disciplines, such as rugby, capoeira, weight training and squash. Each year the club organizes three great sporting contests in partnership with the Universities of Technology Network (UTC and UTT). 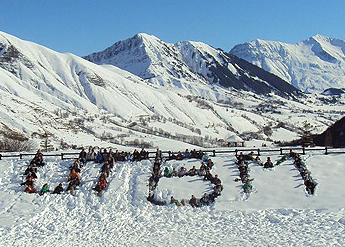 The Ski’UT takes students away skiing for a week to one of France’s largest ski resorts. The Inter’UT is a sporting contest between the three Universities of Technology. The Raid is a marathon starting out from Belfort and going to Compiègne via Troyes. You can visit the sports club’s facebook page. This club aims to provide international students the best conditions of reception, and a better integration in UTBM student’s life as well as in the French social life thanks to a broad range of activities organized throughout the semesters. For more information, come visit the Club Welcome’s facebook page. Check your luggage limit before arriving at the airport. If your luggages exceed the limit, it can cost you a lot. Each airline has different rules about how much luggage you are allowed to have and the cost of extra baggage. Please note: If you have any connecting flights, the baggage rules of one of the flights you are on may not be the same as the connecting flight, so be sure to check the baggage allowance for all airlines you are traveling with. Don’t bring any bedding (sheets, blankets) with you. You can buy it in France at a low cost. This goes for kitchen utensils and cutlery too. Don’t bring any plants or food that may be forbidden by French customs. For more details check the Ministry of foreign affairs website. Remember to take an adaptor with you or purchase one when you arrive at UTBM. In France, the power sockets are of type E. The standard voltage is 230V and the standard frequency is 50Hz. Pack according to the local continental climate (cold in the winter– down to -10° C and hot in the summer– up to 30°), the length of your stay at UTBM, whether you will be attending UTBM during the spring, the autumn semester, or both. Belfort/Montbéliard has numerous shops and you should have no difficulty finding anything you need after you arrive. You’re an international student, coming to study at UTBM, you should plan your budget in advance according to the cost of living in your host country. You should know the exchange rate between the Euro and your home currency. Don’t bring a lot of cash with you. You should favor credit cards. You must plan a budget for your first month in France, as for your entire stay. Check you are receiving the grants and funding that you are entitled to from your own country and your host country. Ask for information from the International Mobility Department at UTBM. Don’t pay to have access to your own money! If you are using a foreign bankcard, verify that you aren’t paying transaction fees when you withdraw money. Open a French bank account (to get the CAF government grant for example). The Student mobility Department can help you with the process. In most cases, opening a bank account is free but some services can be charged. International students can open either a « non-resident » bank account or a « resident » bank account (in Euro or other currency) according to the length of their stay. Make the most of your student status! With your ISIC (International Student Identity Card) and the “Avantages Jeunes” card (available at the BIJ), you can have a huge range of discounts. Find out which shops and services offer reductions with these cards. Do you travel a lot? Buy the young person’s 18-27 card at the train station to earn up to 50% reduction on train tickets. Buy second-hand. There are many notice boards at UTBM where students advertise to sell second-hand belongings, books or furniture. Don’t forget to sell yours before you leave. You can also have a look at the following classified advertisements website: www.leboncoin.fr for sale or purchase. If you have a work permit or visa for France and all of your grants allow it, why not find a part-time job for a couple of hours in the evening or the weekend? Ever fancied being a barman or cashier? Contact the AE for more details. What are the means of transport in Belfort? How to move from one campus to the other? How to travel around France or Europe? You will find in this section, all the information needed about transport. You want to do your groceries, go to the city-center, meet your friends at a local bar, travel from Sévenans to Belfort in the blink of an eye, don’t worry, Optymo is here. Optymo is the public transport network in Belfort, offering buses as well as self-service bicycles. With 29 bus lines going from one end of the area to the other, it serves more than 100 villages in total. To travel in an Optymo bus, you will have to get a transport card called a “Pass Optymo”. You can get it in the Optymo boutique situated at: 13 rue de Madrid, 90000 Belfort. It will cost you 1€ per trip, but won’t exceed 34€ per month. If you receive a government grant, it will cost you a maximum of 11€ per month. You can get an Optymo VLS (self-service bicycle) at one of the 30 stations spread over 5 villages (Belfort, Bavilliers, Offemont, Essert and Valdoie). It will cost you 0.02€ per minute. Keep in mind that one rental bike is available for 24 hours only. If you keep it longer, you will have to pay a 150€ fee. For bicycle routes in Belfort and its surroundings, you can have a look at the following maps: map of Belfort, map of the area. To visit the region, to go on a biking tour, you can have a look at the tourist office of Belfort and Montbéliard websites. In the area of Montbéliard, the CTPM will be your transport network. If you’re less than 26 and want a monthly subscription, it will cost you 10€. You can buy the bus card online. You want to travel around France or Europe, visit Strasbourg’s incredible Christmas Market, go skiing in the Swiss Alpes, or climb the Eiffel Tower in Paris, several means of transport are available to you. The SNCF is the national French railway company which will allow you to travel around the country. The sooner you book your train ticket, the cheaper it will be, so plan in advance and go for it! There are 3 different train stations in the area: one in Belfort, one in Moval (TGV station) and the last one is in Montbéliard. The closest airport is Mulhouse/Basel/Freiburg Euroairport with connections all over Europe. Thanks to Flixbus, you can travel around France and Europe at a lower cost. Blablacar, the biggest carpooling company in France, will allow you to travel at a lower cost while making new acquaintances. If you need to find a telephone number at UTBM, please check the UTBM directory (only available for UTBM’s students and staff). If you need to find a business telephone number in France, please check the Yellow Pages directory. To make a call from France to another country you must dial 00, followed by the country code (e.g. France = 33). Then you dial the telephone number WITHOUT the first 0. (E.g. to call England, the number you have is 01293 547854, you must dial 00 44 1293 547854). To call from another country to France you must dial 00 33 then the number WITHOUT the first 0. (E.g. the number is 03.84.96.76.24, you must dial 00 33 3 84 96 76 24). In France, all numbers starting with 01,02,03,04, or 05 are for landlines. (e.g. 01.55.87.69.69) 01 = Paris. Telephone numbers that start with 06 or 07 are for French mobile phones (e.g. 06.69.34.35.85) – the main mobile phone operators are SFR, Orange, Bouygues Telecom, and Free. To purchase a French phone contract, you can subscribe to one of the main mobile phone operators online: SFR, Orange, Bouygues Telecom, Free or directly go to the boutique. Keep in mind that you will need a French bank account in order to get a phone contract. You are expected to say “Bonjour” or “Bonsoir” (good morning, and good evening) with or without the honorific title “Monsieur” or “Madame” each time you encounter someone. Frenchmen usually handshake whereas Frenchwomen often kiss on the cheeks. Depending on the situation (business meeting, first meeting, between colleagues…), you may be expected to handshake people instead of kissing them on the cheeks. Depending on the region, the number of kisses can change. In Franche-Comté, we kiss twice, once on the right cheek, once on the left cheek. You can use “tu” with your friends, your family, people your age or people younger. You can use “vous” in shops, with strangers, with your teachers and older people. When in doubt, use “vous” at first, then ask the person if you can use “tu” with him/her. For more details, please check this website. The lunch break will usually happen at 12 pm. It will last one to two hours. During this break, most shops are closed except in big cities. It is quite common to eat in a restaurant or a cafeteria at lunch. There are a few cheap student restaurants around UTBM. Dinner will not start before 7 pm (usually at 7.30 or 8 pm) but it greatly depends on the region. The traditional meal is divided into: appetizer, starter, main course, cheese, desert and coffee. If you’re invited to eat at someone’s place, it is advisable to bring a gift such as a bottle of wine, flowers or chocolates.